We understand that after a long flight, the last thing you need to worry about is having to decide which way of transport is going to take you to your destination on the Costa del Sol. Taking a taxi or using the public transport are just some of the options that you won’t regret, but do not expect or demand a great deal in the quality of the service…however, EconomyTransfer guarantees a safe trip in a latest model vehicle with all its advantages, driven by a member of our experienced, friendly and multilingual staff. And by the way, we’re the cheapest company you’ll find. Moreover, since our service is booked, you have the upper hand when it comes to hopping on. No haggling with the driver over the price, never extra charges – that and more is all covered when you get your transfer through the website or over the phone. You’ll be at your destination in an instant, starting your vacation without incident and very satisfied. Many advantages over the competition. Malaga, Ronda, Mijas, Marbella, Gibraltar, Nerja, Tarifa: 5 hours. Granada, Cordoba, Cadiz, Jerez, Seville: 10 hours. Learn more about our excursions in Malaga. In order to book any excursion or day trip, please contact us and remember that we can arrange all kinds of transfers from Malaga airport. Malaga is a great place for holidays and has everything you need, beaches, peace, night parties, Golf, luxury, art, culture, monuments, history, ancient villages, among many other reasons to enjoy this tourist place of Spain. The Costa del Sol is also known as the Costa del Golf due to the large number of quality golf courses all around this region of southern Spain. Andalusia has over 90 golf courses and really is a golfer’s paradise as you can play all year long because of its unbeatable climate. Alhaurín Golf course (Alhaurin El Grande). Calanova Golf Club (La Cala de Mijas). La Quinta Golf and Country club (Benahavis, Marbella). Marbella Club Gold Resort (Marbella). Parador de Malaga Golf **** (Malaga). In case you bring your own golf clubs and need a private taxi from Malaga Airport, Economytransfer.com offers private transfer services for groups of all sizes in spacious cars which fit larger luggage. Get a quote, with no obligations, using the form on the top of this page. Don´t forget that if you arrive at Malaga by train or you wish go to the train station, we also provide transfer services from Malaga train station. Book your wedding transfer in Malaga with us and forget about any transport worries on your wedding day. Economyransfer.com will take care of everything: Car decoration, petrol, car wash, chauffeurs and, most of all, punctuality. Perfection is our main priority as your wedding should be one of the most beautiful days of your life. We are proud of consistently delivering a service of the highest standards with the most modern, luxurious and exclusive wedding car fleet available, beautifully decorated with ribbons for the special occasion. 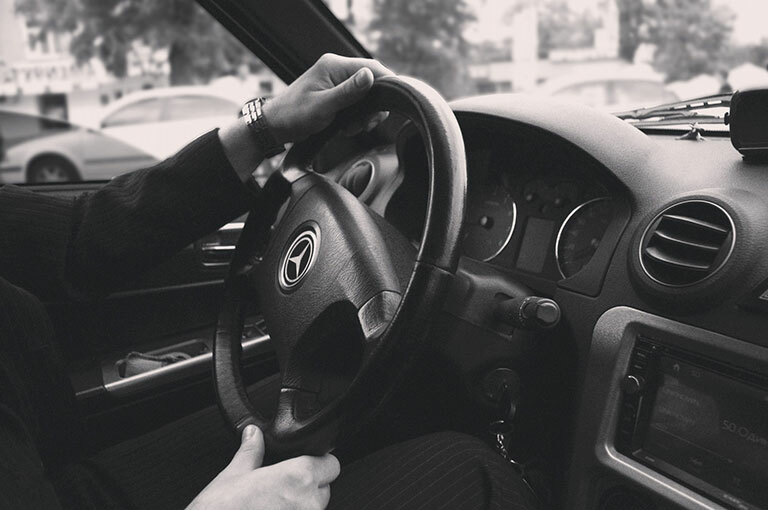 Our fleet consists of brand-new Mercedes E and S-Class, BMW 5 Series GT or similar, driven by one of our professional and friendly chauffeurs who speak perfect English and Spanish. Get a quote with no obligation by filling out our form on the top or simply ask us anything you need to know regarding availability and possibilities by writing us an email and we’ll get back to as soon as possible. For many groups of people we have buses which can transport up to 54 people. With buses from Malaga airport, we make sure to have no limit of number of passengers. We offer transfers in the port of Malaga, picking up from this point cruise passengers disembarking at any of the piers and who wish to take a taxi to a local town and other provinces of Andalusia. You don´t necessarily have to be cruising as we likewise offer private taxi service in the port of Malaga. It is increasingly common to use this type of transport among professionals and specialists arriving at the airport and going directly to the Trade Fair and Congress Centre of Malaga to attend a conference and returning to the airport the same day. These transfers to congresses are also often combined with other transfers to and from the hotel where they stay. 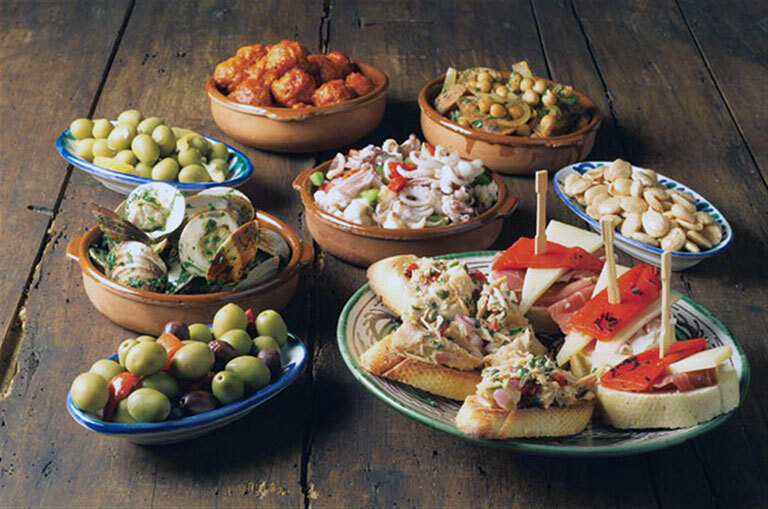 One of the great things about Malaga, and what it’s so well known for, is precisely the gastronomy based on the famous Mediterranean diet where everything is cooked with the best regional and natural products like wine, olive oil, fresh meat, vegetables and a lot more. The most typical dishes in Malaga are the ‘pescaito frito’ (combination of fried fish and seafod) or the popular ‘spanish tapas’ (small and delicious varied snacks that are normally served with a glass of beer or wine). Another great factor to bear in mind that attracts tourists of all ages is the night life with plenty of discos, pubs, bars and taverns to choose from. All with a great atmosphere. So, whatever you choose to do on your night out, the last thing you need worrying about is how you’re going to get home! (Especially at that time of night…and possibly after a few drinks!) There’s no need to worry about haggling for fares and being taken advantage of. Book your transfer in advance with Economytransfer.com by filling in the form on the top to get an easy quote first and then contact us so you can plan ahead and just relax and enjoy your evening.